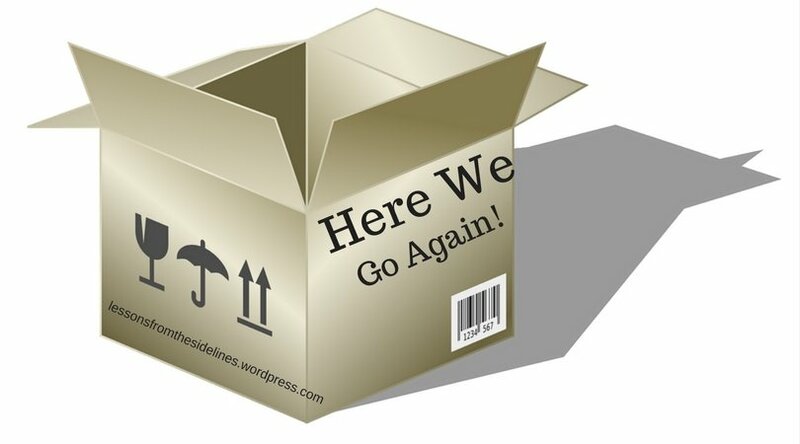 Moving Resources- Here We Go Again! We’ve just completed our third move in four years. One of those was a local move, but it involved just as much work as the others. The reality is, if you stay in the coaching business long enough you will probably move a few times. I’ve gleaned some great tips from coaches’ wives over the years. I’ve also learned from our own experiences a few do’s and don’ts. Although those things are great, this post has a different purpose. I’m going to divide this into sections. I’d love to add to this as new things become available so send me information if you notice I’ve missed something. When it comes to packing many wives hang on to boxes to use the next time. Although I did this for a long time, I discovered that not all cardboard is the same. Some boxes collected mold. Others tear. Boxes at Walmart are less than a dollar a piece brand new, but there are many sources to find packing materials without spending much money at all. Hospitals, grocery stores, big box stores, even dollar stores will often reserve boxes for you if you call ahead. I’m a fan of plastic bins for odd shaped items and just to have on hand. After Christmas check the clearance section. Bubble wrap is worth it. I purchased a large roll of bubble wrap, and we used it all. This was after we used all the towels and sheets wrapping fragile items. Purging is almost a natural part of moving. At some point, you just get sick of packing and start throwing things away. Of course, all that junk needs a new home. Schedule a pickup Many organizations will pick up your donations. Save yourself a trip and save your energy. Mail your donations if I’m going to save a box it’s going to be one from Amazon because then I can mail my donations off for free. This system saves time and money! Of course, you can always host a garage sale, but I find that when things need to sell, they rarely do. We were able to sell several pieces of furniture via Facebook with this last move, but I don’t think it would have been worth the hassle for toys, books, and clothes. Finally, hand it down. We left our school gear at the football office for the next coaching staff to use. Hubs has a strict rule against wearing competitors clothing, so off it goes! There are a variety of options these days for moving. I’ve explored them all and the reality is storing items can be just as expensive as moving them. It’s often cheapest to do the entire move yourself. Driving a truck isn’t for everyone though. Schedule the mail to be forwarded before you move: When we scheduled to forward our mail, we received a 20% off coupon for the moving company we’d already chosen. This saved us $200. I learned a valuable lesson with this last move. When reserving the truck online one of the services offered was moving help with loading and unloading the truck. I was able to read reviews, compare prices and reserve exactly what we thought we would need. It was worth every penny. 10 college kids volunteering: Thank you tip ($20 a piece)+ pizza+drinks+ napkins+ plates ($50) + cost of repairing broken items not loaded well ($200) =$450 Additionally, this scenario lasted 6 hours. Not only did the movers help us out with unloading the truck and placing boxes in the rooms we requested, but they also set up our furniture and helped me arrange the rooms with the remaining time. Yes, you read that right, in 3 hours we unloaded a 24-foot truck AND arranged rooms. Another bonus was that our movers did the heavy lifting. After loading a truck in one day, then driving for 10 hours the next, the third day of unloading was looking bleak. Instead, it was my favorite part of the whole experience. Probably my most dreaded part of any move is finding new insurance. Even when using the same company you will almost always need to deal with a new agent. Chrinco.com is a new, web-based software that will do all the searching for you. The best part is that you can make sure you always have the best price by asking them to run your numbers every 6 months to year AND it’s FREE! Company loyalty can be helpful with some companies, but it’s not always your best option. Look around, compare prices. We have a “landline” for our kids and the number moved with us. Although this makes for an easy transition for them, when giving out a number to their new friends a local one seemed like the best solution. For $10 and five minutes of your time, you can switch the number and continue to pay your $35/year for service. Many of you are lucky enough to have doctors with online medical record access already. This is our first time living in an area where this we have this luxury. We called ahead and asked for our records to be printed and were told that this couldn’t be accomplished without a fee. A call to HR revealed that not to be the case and the CEO of the hospital instead handed us our records for free. This has taught me a valuable lesson. We keep a printed copy of medical records on hand at all time. To establish health care, you need to have an initial appointment. Your former doctor can/will likely refuse to forward your records to your new doctor without the proper authorization…which can’t happen until the first visit. This wastes time and money since your new doctor can’t actually treat you for anything until they know your health history. Printed records allow for a productive first visit. Online banking has become a huge convenience for those of us that move. Still, it’s not always as convenient as the banks would like you to believe. Limits on digital deposits, fees for ATMs, even limits on daily usage for debit cards can all hinder someone. Ally Bank reimburses ATM fees, offers free checks that can be ordered at any time, and has a $50,000 limit per day on digital deposits. Goodbye headaches! We intentionally moved over Spring Break this year giving us a week to acclimate to our new community before jumping into school. Once we knew our new address I called the new schools and asked for all the forms I would need to fill out to be emailed to me. I also called the schools we were leaving and asked them to go ahead forward the school records as soon as they could. The day before we loaded the truck I received calls from our new schools with the name of our 4th grader’s new teacher and contact information as well as the first day of school information. It still took a few days after classes resumed for our middle schooler to start, but we were told we cut the process from a week to 10 days down to 3. For this Mama that was all I needed to hear to know I’d repeat this process every time. Check the local park districts, YMCA, churches, and libraries in your new community. Depending on the timing of your move you may be able to sign the kids of up activities even if they start shortly before you arrive. Even if they never participate again, this will help your kids get to know people quicker as well as provide a bit of “normalcy” for them if they are having to say goodbye to a sports team, saying hello to another may be comforting. On moving day we had a significant amount of items that would not be going with us. Football players can be rough on furniture, and we ended up tossing couches, mattresses, broken items and many items we just hadn’t had time to get rid of. I called ahead and scheduled a special pickup and informed our landlords what was happening. Instead of having to limit ourselves to a particular type of container we piled the trash high, left a spotless house behind, and sent a check for $30 later that month to cover the extra pickup.